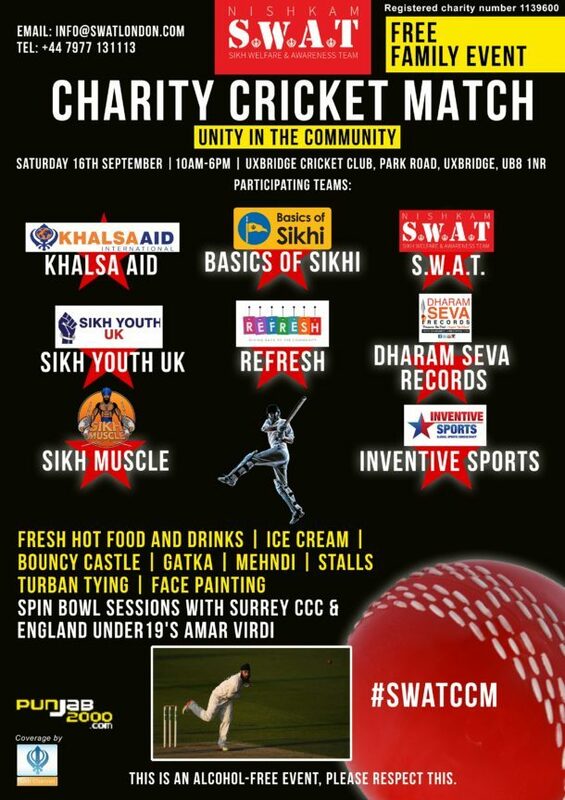 Talented Surrey & England u19 spinner Amar Virdi has teamed up with Sikh Charity Nishkam SWAT to host a free family fun day and 6 a side cricket tournament. The event entitled ‘Unity in the Community’ will take place at Uxbridge Cricket Club, West London on Saturday 16th September 2017. Sikh organisations from across the UK will field teams in the tournament as well as host information stalls promoting their community activities.